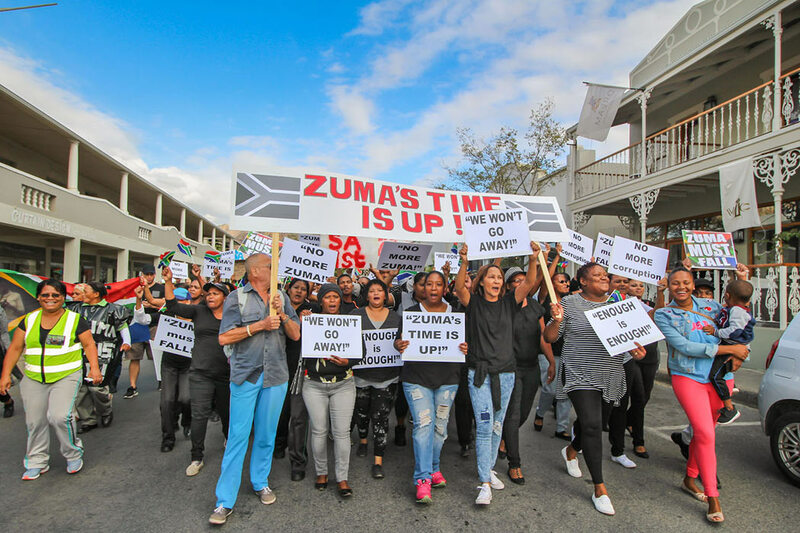 On Friday morning, the town of Montagu took to the streets to make their voices heard. This peaceful protest was not against - or for - any political party, skin colour or religion, but against a single person. The message was clear, "Mr Zuma...please do the right thing and step down!". The crowd grew as they moved down Bath Street, singing and chanting. One could speculate regarding the attendance, but the consensus was that roughly a thousand people participated. A few people remarked on just how emotional they were, including experiencing a sense of pride at being able to stand together for a common cause. In times when it feels as if we are powerless to do anything, one hopes that even the smallest act can have an impact. Viva South Africa!